Emergency Shelter & Sleeping Gear: From the LifeLine AAA All-Purpose Travel Blanket to the SOL Bivvy. Adult and Child Size Emergency Ponchos and Solar Mylar Emergency Space blankets. Tube Tents, Plastic Sheeting, Rain Suits, American Red Cross Weather & Shelter Emergency pack-we have it ALL. We even offer cots, air mattresses, privacy shelters, canopies & sleeping bags! Read about shelter tips and information. Space Blankets, Bivvy, Emergency Blankets of all types – Emergency Mylar Solar Blankets can serve as Signaling Devices, Wind Breaks and many purposes other than just Sleeping and Warmth! 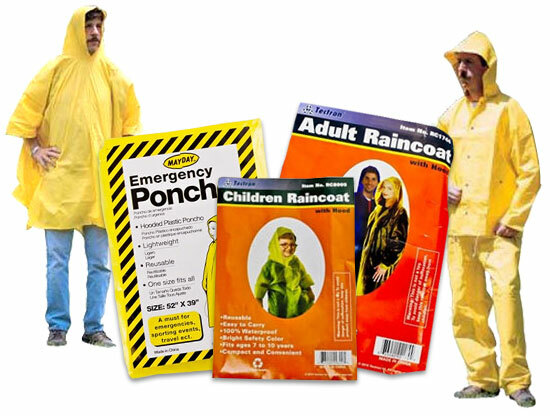 One-Size-Fits-All Disposable Rain Ponchos serve a myriad of uses - Rain Suits, too! What makes a shelter a shelter? It takes only a short time and minimal equipment to build a poncho lean-to. You need a poncho, 2 to 3 yards of rope or parachute suspension line, three stakes about 30 centimeters long, and two trees or two poles 2 to 3 yards apart. Before selecting the trees you will use or the location of your poles, check the wind direction. Ensure that the back of your lean-to will be into the wind. 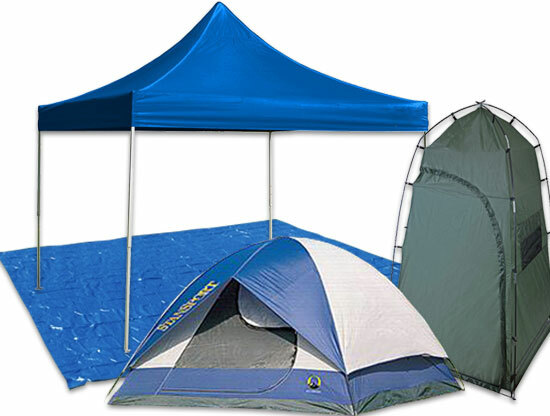 Tents, Shelters, Sleeping Bags, Tarps, Canopies, Cots, Air Mattresses, Ponchos, Blankets, Rain Gear & Safety Product - Wholesale to the Public Manufacturer Direct Safety Product Sales since 1993.